Sigma just launched their eyeshadow palettes! Introducing the new Sigma Beauty makeup line: the DARE, BARE and FLARE eye shadow palettes! You will now have every color you need to go from day to night, from neutral to bright, and from casual to formal in just a few minutes! Each eye shadow palette comes with a different dual-ended brush featuring Sigma Beauty’s all time best-selling brushes. Dare has some pretty vibrant and neutral colours. It makes me think of autumn leaves. Includes Sigma Beauty’s best-selling E20 and E45 in an exclusive dual-ended brush. Bare has a nice selection of neutral and smokey shades. Similar to the infamous (and sold out!) UD NAKED palette! Includes Sigma Beauty’s best-selling E30 and E25 in a unique dual-ended brush. Flare has some really refreshing colours like pruple and greens. 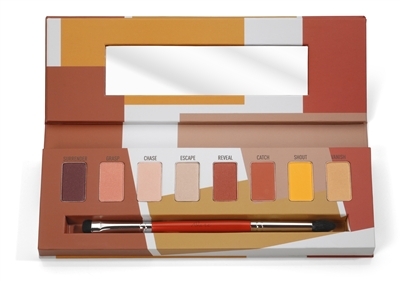 It reminds me of the Sleek Monaco i-Divin palette. Includes Sigma Beauty’s best-selling E55 and E40 in a practical dual-ended brush. All of them contains matte and satin formulations. My favourite one is Bare! What about you ladies? P.S: You can also become a Sigma Affiliate! For more info, ansd sign in, click here. They have a really nice incentive program! Bare a l'air bien, malgré que je trouve ça un peu cher! 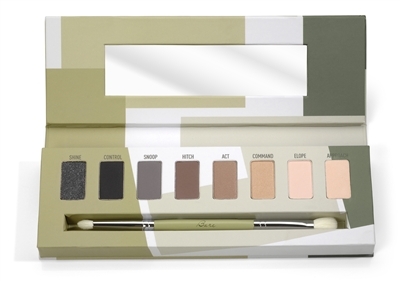 C'est sur que pour un prix equivalent, la Naked palette a un meilleur rapport qualité-prix!